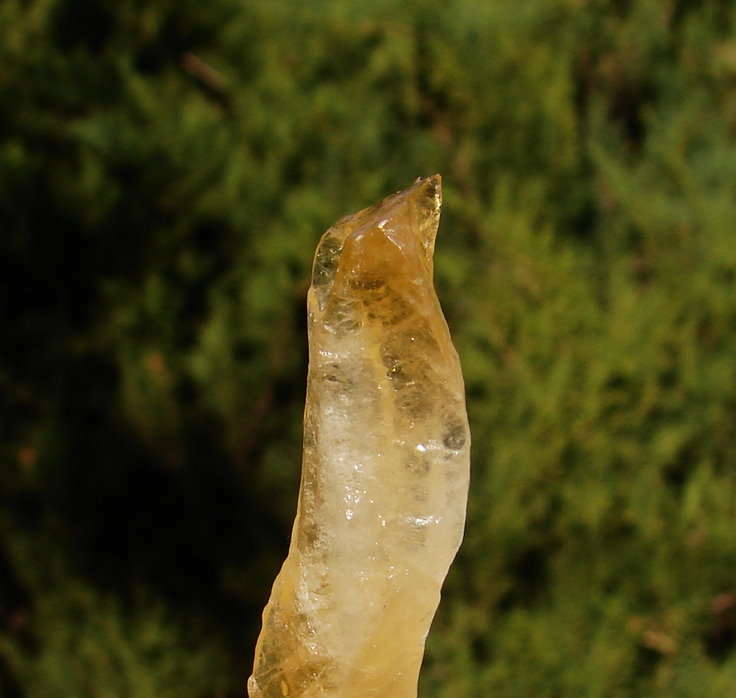 Highly Vibrational Golden Elestial Moldavite Calcite Crystal, Recently Unearthed in Mexico!!! You are going to be floored by this Highly Vibrational Golden Ray Elestial Moldavite Calcite Crystal! YOU WILL RECEIVE ONE GOLDEN MOLDAVITE FOR EACH BID! THESE PHOTOS ARE A REPRESENTATION, AND NOT THE ACTUAL CRYSTAL. ALL THE CRYSTALS LOOK VERY SIMILAR AND I WILL PICK OUT THE ONE WHICH CORRESPONDS THE MOST WITH YOUR VIBRATION! THE PHOTO IS A STOCK PHOTO WHICH I JUST TOOK INSIDE MY HOME! The Average Size Range is 47.2 in height to 16mm wide! 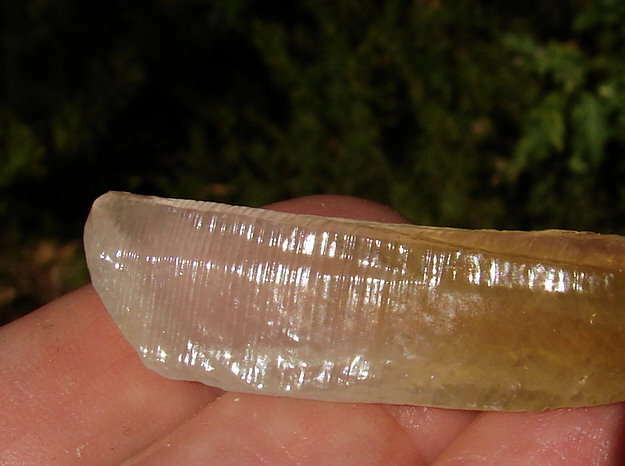 A few of the crystals are larger than this! (25mm = 1 inch). 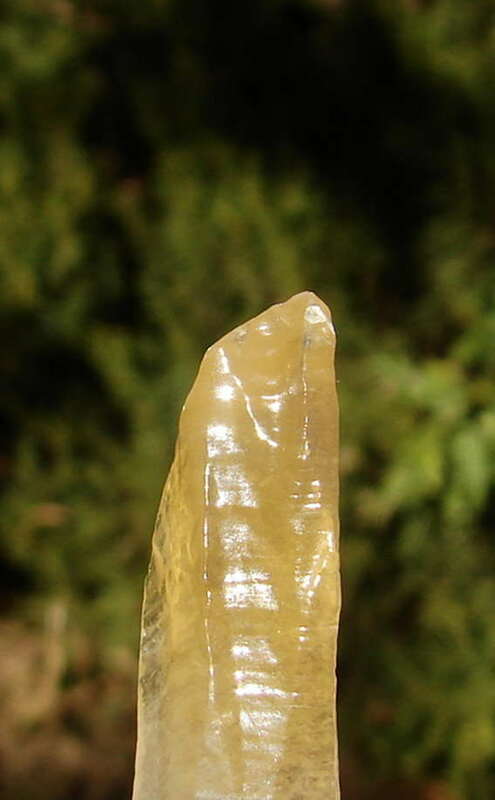 The appearance and energies of Elestial Golden Moldavite is a synergy between Calcite and Moldavite as this crystal is a Calcite and very tuned into the vibration of traditional Moldavite. 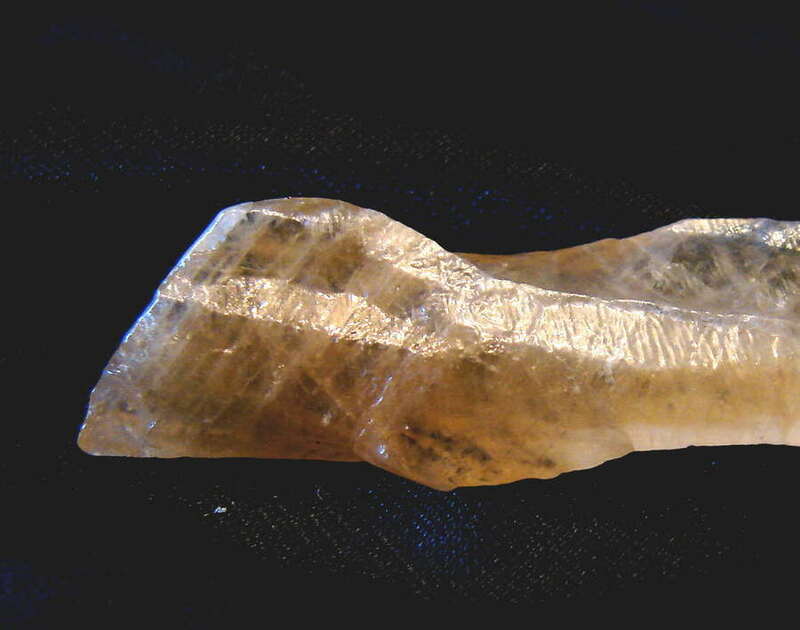 These exceptional crystals are facilitators of visionary experience and connection to higher realms. They stimulate the third eye chakra, engendering visual perceptions of the normally invisible worlds of Spirit. Like other Elestials, they are among the most powerful means by which the energy patterns, information and love from the entities of the higher planes can be translated and transferred to human beings engaged in physical life on the Earth. In addition, they can act as access keys to inner libraries of spiritual knowledge. The more complex the formation of openings and "portals" in the crystal, the more multifaceted the inter dimensional openings they offer. The "inter dimensional" qualities of these stones are quite pronounced. In mediation, one may use them to travel to the angelic realms, as well as the domains of one's spirit guides. They can be very powerful tools for the shamanic journeying and soul retrieval, allowing one to go back to the key moments in the life or lives of oneself, or one's client, in order to recover lost parts of the soul. Such work can facilitate profound healings, and those who do such work, or wish to do so, are advised that White Moldavite crystals can provide powerful "medicine. These stones are like crystalline switchboards, linking multiple dimensions, times and levels of consciousness to one another. When one keeps a Golden Elestial Moldavite near, it is like having a radio in the room, tuned to the "Higher Self Channel". 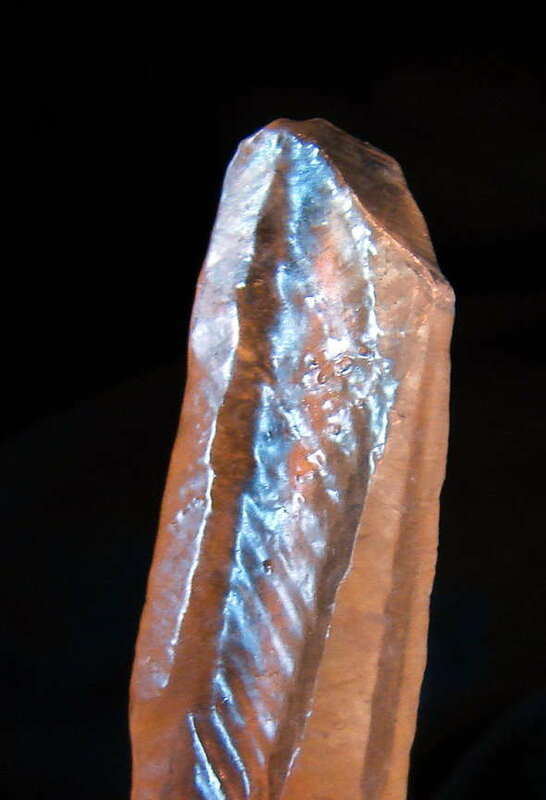 These crystals constantly emanate vibrations that remind and reconnect us to the inner worlds of Spirits. 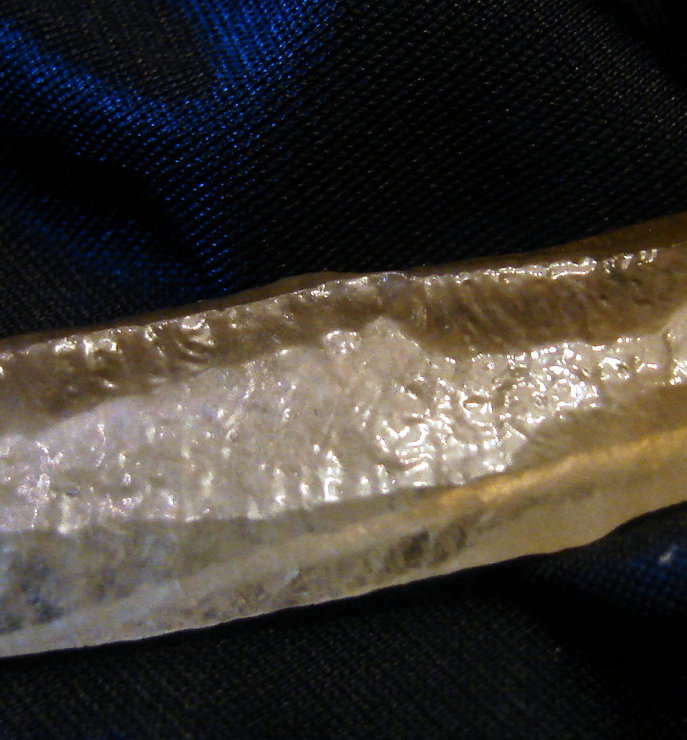 Golden Elestial Moldavite easily attunes to the frequencies of the Angelic domain. Working with these stones in meditation, one may readily hear the voices of the angelic choirs singing the "music of the spheres". Through this connection one may receive a "download" of cosmic love, which can infuse every cell in the body with joy and well being. This is of course of great assistance in any type of vibrational healing, and it can also raise the energies of healthy individuals to new levels of higher functioning. Beyond that, it is a wonder and a joy to see the Angelic realm through the inner eye and commune with its inhabitants through the heart. 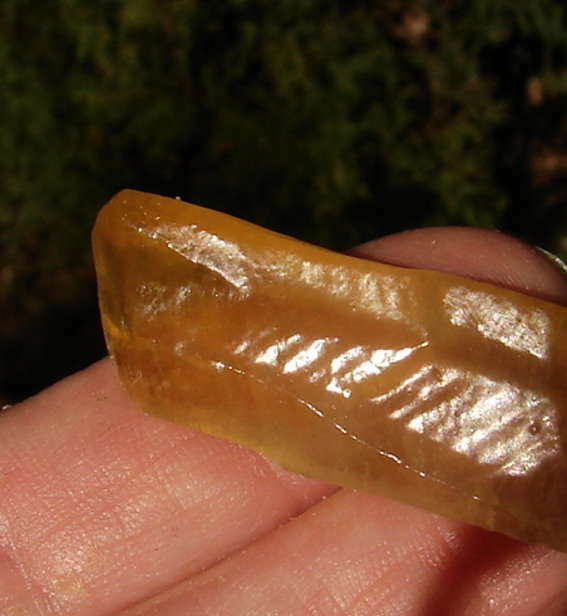 Golden Moldavite, as well as white, yellow and green, can facilitate such experiences. Golden Moldavite can lighten the heart, relieving the burden of sorrow or depression. They can attune one to the knowledge of the akashic records, and to the eternal wisdom that permeates the Universe. They can assist in the recall of past lives and the understanding of the key lessons of those lives. They allow one's consciousness to travel freely through time and space, viewing probable futures as well as past events. Their inherent programming is benevolence, so the information and experience they bring is all attuned to one's highest good. Golden Moldavite is exceptionally potent when combined with Green Moldavite, White Moldavite and Blue Moldavite, Stellar Atoms or the newly found Azeztea Quartz from Mexico. They create a mutual enhancement of their powers of transformation, attunement and awakening. They also are an also an excellent aid for Lucid dreaming and for entering higher states of consciousness! The raised glyphs contain records from a Distant Time, the Now, and our Destiny. The records can be accessed by running a finger over the glyphs. This will be very helpful if performed during meditation.